One of the Etsy teams I'm a member of is kicking off a Giveaway today. Above is the prize I donated and there are 19 more!! 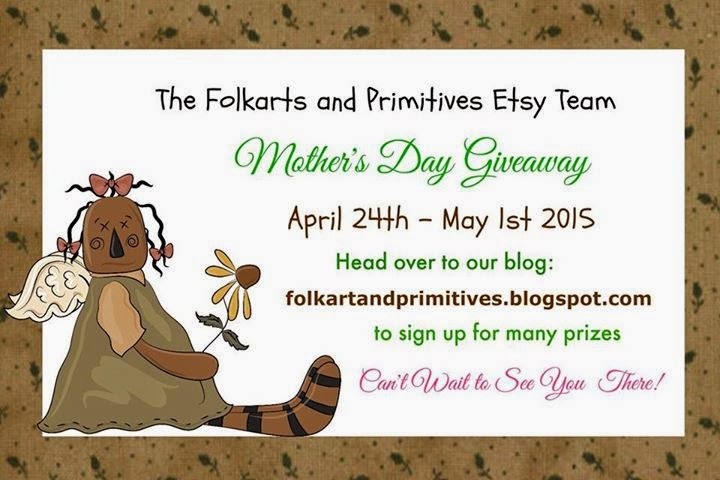 Head on over to the Folkart and Primitives Blog for more info and to enter the drawing. Oh, how lovely! I will hop over directly! Blessings to you and a happy Saturday too!